Protocol 115 Plus builds on the original Protocol 115 by adding DMSO* and a procedure, the Mouth-Holding-Method (MHM). 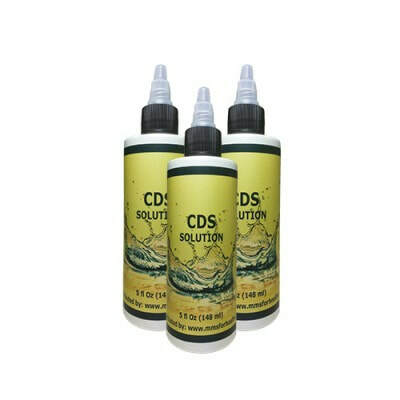 CDS (Chlorine Dioxide Solution) is Chlorine Dioxide gas (CLO2) only, in a water solution. CDH (Chlorine Dioxide Holding-solution) is CDS with unactivated MMS. DMSO is a liquid carrier, meaning it can cause CLO2 to go deeper into skin tissue, etc. "CLO2 will be administered perlingually by absorption through the oral mucosa and tongue & cheek interior surfaces. Also, sublingually under the tongue and sublingual glands." By adding DMSO and the MHM to Protocol 115, the protocol could be more effective. 1 ml of 3000 ppm CDS ingested with 60 to 120 ml of water every 15 minutes for a period of 2 hours totals 8 consecutive doses (8 ml) of CDS. Eight ml of CDS contains 24 mg of CLO2. Eight consecutive doses of 1/2 ml of CDH (4 ml total) contains 27 mg of CLO2. Add one drop of DMSO to every other dose of CDS/CDH the first hour. If no discomfort occurs, then add 1 drop of DMSO to every CDS/CDH dose. DMSO must be added to each dose and not to the bottle of CDS/CDH, because DMSO will reduce (over time) the CLO2 content, making CDS/CDH less potent. When you take a sip of a dose, perform the MHM for a short time, then swallow. NOTE:* If you have never used DMSO, do a simple test to confirm your body will not have a problem with it by rubbing in 1 drop on an arm and wait a few hours. If no negative reaction occurs, then you can use DMSO.